In the early years of the twentieth century, white Mississippians pursued educational improvements that included school consolidation, new colleges for teachers, and a county-based system of agricultural high schools. The second session of the 1908 state legislature provided matching funds for counties that hired teachers and erected classrooms and dormitories to instruct young Mississippians of both sexes in agriculture and domestic science. By 1911 seventeen of the state’s eighty-two counties had agricultural high schools, a number that had grown to forty-nine two years later. Before the school consolidation movement mushroomed in the 1920s alongside the construction of state and county roads, few rural Mississippi children attended high school. State educators, civic-minded farm families, and other self-proclaimed progressives intended agricultural high schools to fill the void of educational opportunity among Mississippi’s rural white youth. In their enthusiasm for new rural schools, education boosters and their supporters in the state legislature got off to a false start. The 1908 law established agricultural high schools for white children only; the measure generated legal challenges, and in 1909 the Mississippi Supreme Court rejected it. After the legislature rewrote the law to nominally provide separate agricultural high schools for the state’s African American youth, the number of schools rose until 1919. 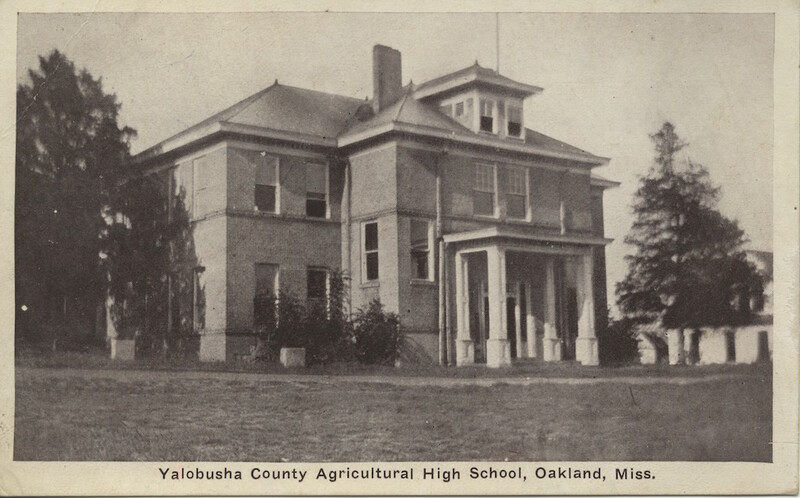 Mississippians eventually founded only one agricultural high school for African Americans, in Coahoma County. State educators intended the schools’ agriculture and domestic science curricula to prepare students for success as farmers and homemakers. Boys practiced fieldwork, animal husbandry, and farm management. Girls studied home economics, gardening, sanitation, and caregiving. The agricultural high schools showcased Mississippians’ desire to revitalize their homes, farms, and rural industries by harnessing scientific progress and modern business methods. The decline of the state’s agricultural high schools mirrored their rapid rise. After the initial local enthusiasm that established the institutions, rural school consolidation steadily siphoned off support. By the 1920s most Mississippi taxpayers were no longer willing to support the schools and voted many down in county referendums. Some schools closed when the state board of education refused to fund them. A few survived as two-year community colleges, while others reorganized to provide conventional high school curricula in a process known in the 1930s as superconsolidation. Today, only a handful of the state’s secondary schools retain the title of “agricultural high school,” and only Forrest County Agricultural High School maintains an agricultural curriculum.